Graphene-reinforced concrete is "more than twice as strong" say scientists - Dr Wong - Emporium of Tings. Web Magazine. UK scientists have found a way to incorporate wonder-material graphene into concrete, greatly increasing the material’s strength and water resistance. According to researchers at the University of Exeter, the composite material is “more than twice as strong and four times more water-resistant than existing concretes”. The technique developed by the scientists uses nano-engineering technology to suspend atomically thin shards of graphene in the water that is used when mixing concrete. This process requires less material than a tradition manufacturing process. This drastically reducing the material’s carbon footprint, resulting in a concrete that is not only strong, but also more sustainable. Monica Craciun, professor of engineering at the University of Exeter, believes the innovation will be “an absolute game-changer” for the architecture and construction industries. “Not only is it stronger and more durable, but it is also more resistant to water, making it uniquely suitable for construction in areas that require maintenance work and are difficult to be accessed,” she said. “Yet perhaps more importantly, by including graphene we can reduce the amount of materials required to make concrete by around 50 per cent – leading to a significant reduction of 446 kilograms per tonne of the carbon emissions,” she continued. Graphene is one of the strongest materials known to science. Made up of a single layer of carbon atoms, it has a range of impressive properties, for instance, it is transparent, and is extremely conductive of heat and electricity. 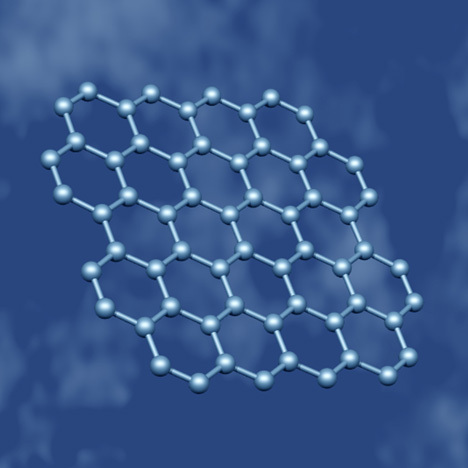 Since graphene was isolated at the University of Manchester in 2004, scientists have been developing a wide range of uses for the material including incorporating it in hair dye, water filters and night-vision contact lenses. According to Dimitar Dimov, another member of University of Exeter research team, graphene-reinforced concrete has the potential to revolutionise the construction industry. The post Graphene-reinforced concrete is “more than twice as strong” say scientists appeared first on Dezeen.